You will look for the SA password on your computer hard-drive or in your emails (If you had stored it in some file which is a bad practice). Try to restore MASTER database from database backup. However, this will not help because you will run in to the same issue as you don’t remember the SA password. Re-install SQL Server 2012 and attach all user databases. This may not work as you may experience same issues that you would experience with the option above. However, the best and fastest way is to unlock SA account with SQL Server Password Changer. Get instant control over locked databases no matter how many instances of Microsoft SQL Server are running. Follow the steps below and you can easily unlock SQL Server database in case you lost SA password or SA account is locked out. First of all, stop the SQL Server service to prevent it blocking access to the master.mdf file. Download and install the SQL Server Password Changer program. After you’ve installed it, launch the program. Click on the Open File button. 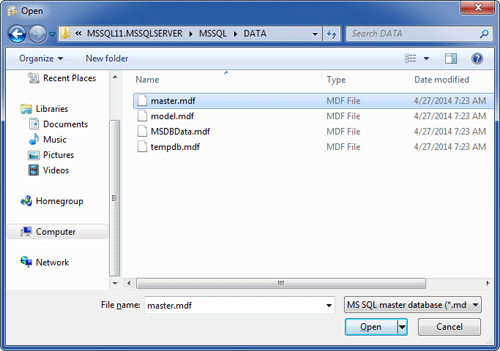 In the file open dialog, select the master database (master.mdf). Usually the master.mdf file is located in C:\Program Files\Microsoft SQL Server\MSSQL11.MSSQLSERVER\MSSQL\DATA\, where MSSQL11.MSSQLSERVER is the name of your SQL Server instance. Once choosing the master.mdf file, the program shows you a list of SQL users. Select the SA account and click on Change Password. Set a new password and click OK. The program will replace the lost SA password and also unlock your SA account in no time. Restart your SQL Server service and you can then login to SA account successfully. I installed SQL Server 2008 sometime ago and forgot the sa password I set during setup. How can I connect to SQL server now? Is there a way I can retrieve sa password in SQL Server 2008? If you ever forgot a SA password, you may have thought that the only option is to reinstall SQL Server. But this is not true. If you can still log in to your SQL Server with Windows authentication mode, or log in using other user account that is a member of sysadmin role, then you can reset the lost SA password easily! However I don’t think this approach will help you, otherwise you wouldn’t be sitting here reading article, would you? 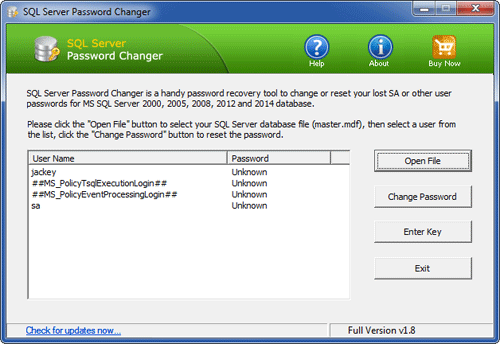 Other method is to use this professional password recovery software – SQL Server Password Changer, which provides you with an easy way to reset forgotten SA password in SQL Server 2008 (R2). It also supports SQL Server 2012/2005/2000. 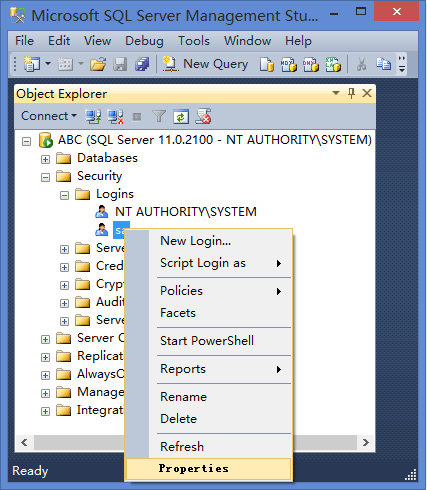 Follow this tutorial and you can reset SQL Server password and regain access to your database easily and quickly. How to Reset Forgotten SA Password in SQL Server 2008? Download and install SQL Server Password Changer on your computer. After installing, start the program and then click on “Open File” button. It will display a dialog box that prompts you to choose the master.mdf database of your SQL Server. But at this time you need to stop your SQL Server serivce in advance so this password recovery program is able to regain full control over the master.mdf file. Once you’ve chosen the master.mdf file, click on “Open”. The program will display all user accounts existing in your SQL Server database. Choose the SA user account and then click on “Change Password” button. Enter your new password and click OK. Now you’ve successfully reset your forgotten SA password in SQL Server 2008. 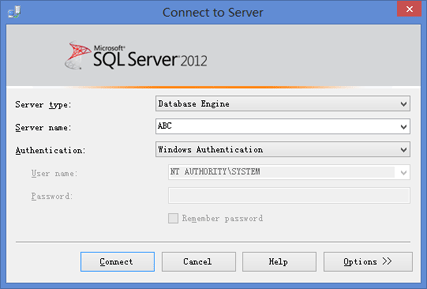 Start the SQL Server service and then you can log in to the SA account using the new password. Using SQL Server Password Changer you can also reset the password of any other user accounts existing in your SQL Server 2008 database. Resetting the password of SA is a breeze! Forgot SQL Server password? A former employee forgot to leave you with the sa password for your SQL Server? How to change the password or reset it? If you couldn’t fix this problem, you may have to reinstall SQL Server. But if you have some very important data in the database, this may prevent you from reinstalling. Then, is there any effective way to recover or change SQL Server password? This tutorial will explain how to change SQL Server password with SQL Server Password Changer, if you forgot sa password and can’t connect to your database using any user account. Once SQL Server is installed, a master.mdf file will be created and be used to stored the logins and passwords for all available SQL Server accounts. With SQL Server Password Changer you can easily change forgotten SQL Server passwords stored in the master.mdf database. The old password will be replaced with your new password. Now you are able to log into the SA account using your new password. Follow the steps above you can also change other user account passwords. SQL Server Password Changer is a really useful utility and it can help you easily reset SQL Server passwords on SQL Server 2008/2005/2000.